This course is a must for any-one who is thinking of buying a firearm or who lives in a household that has firearms. You will use both revolvers and semi-automatics in many different calibers and designs. We will teach you the laws concerning ownership, possession, and transportation of guns, as well as concealed carry permits. 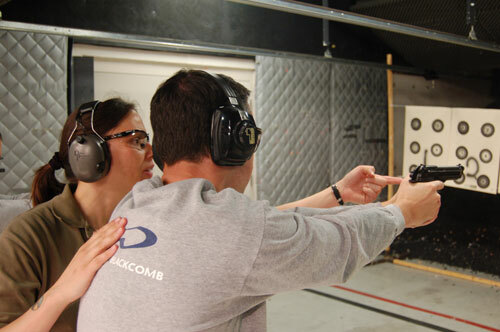 We provide everything: all the guns, ammunition, and necessary equipment for the course. This class is a perfect way to decide what gun to buy. Teenagers are welcome if attending with an adult. If you want facts and hands-on experience, presented objectively and safely, contact InSights Training Center TODAY!